Apply to HEV(Hybrid Electrical Vehicle),EV(Electric Vehicles), trains, ships and other heating circulation and cooling circulation system. ♦High efficiency brushless DC motor, low power consumption, high efficiency, long service life. The pump installed in the lowest position of the system to ensure that the impeller is always immersed in the liquid, or pre-filled the pump before power on . 1: Pump should not be dry-running, even though it can dry-running for 30 seconds (after 30 seconds dry-running, it will automatically stop), Dry running will makes noise, also increasing abrasion to the shaft and shaft sleeve. 2:Use the recommended diameter pipe connecting the pump inlet, if you use a smaller diameter hose pump inlet, Due to the negative pressure in the pump, the outside air easier enter to the pump through the pipeline, it will make the pump performance degradation, and also the air bubbles make damage to the pump. 3: As viewed from the pump inlet direction, the impeller rotates clockwise (see the arrow on the outlet port). 4: The pump can be installed vertically or horizontally mounted (see figure 1 ) When installed vertically, the outlet port should be upward . 7: Do not use the seawater or other heavy pollution with big grain impurity liquid as the liquid medium . -0.2 to 2.5 bar ( 100℃ (212°F). The service life is more than 20,000 hours based on the rated voltage and 36℃(86°F) ambient temperature. 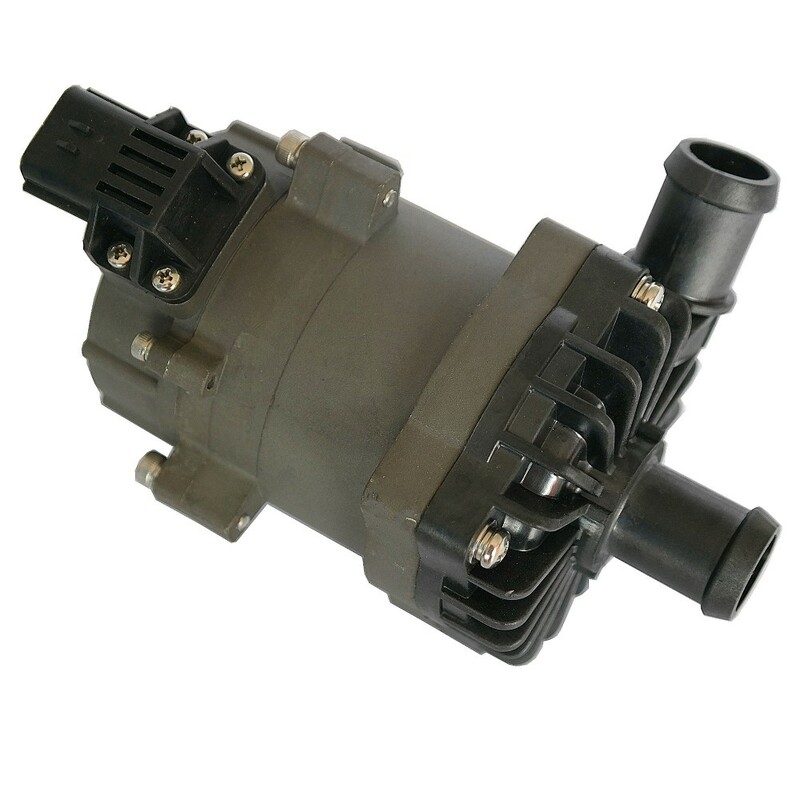 Although the motor can be used in a wide range of voltage and temperature, but excessive or too low voltage and temperature will affect the service life of the motor, the pump can not be exposed to thermal radiation ambient. 1. Working ambient temperature:-40℃--120℃, should try to avoid close to three-element catalytic, gas discharge pipe system and engine during the installation, ensure the working environment temperature. 2.The installation position of the water pump should as much as possible close to the low water level, to extend the service life of the pump. 3. 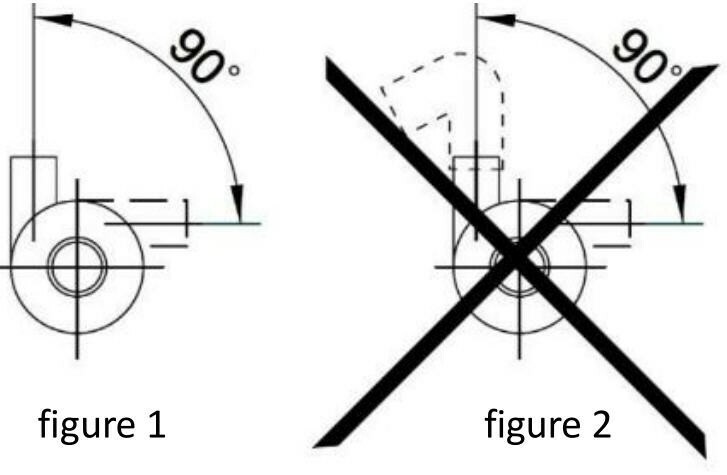 In order to reduce water resistance, should as much as possible to reduce the number elbow in piping in the installation, ensure no any elbow within 20 cm from the pump. 5. 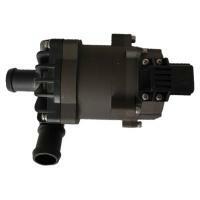 Pay attention to the purity of the water, avoid to jam and impeller-blocked to reduce the service life of pump.